Wow!! It's been a long time since I have edited my own personal images. I just knocked out August and September!! August was a pretty rough month for me, personally. Luke was scheduled to leave for work [again] at the end of the month, and I had some personal things going on with our move and custody stuff with my oldest. Thank goodness everything worked out great! Lilian started SECOND GRADE!! HOLY MOLY! 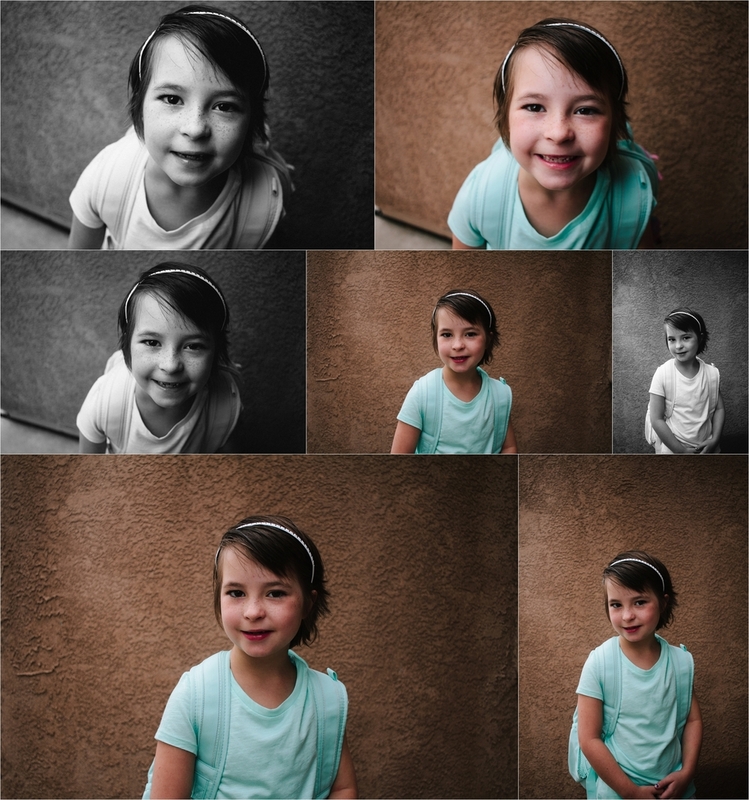 The first two sets of images are from her first week of school. Her dad had her on the first day and I drove across town to be there with her as she joined second grade, but sadly she arrived right before the bell rand (and she got to ring it too!!!) so I only had time to snap a few photos. The 2nd set of images is on her first day of school with me (actually 2nd day of literal school) and we did our standard 'first day' photos. The girls and I stayed busy busy busy. 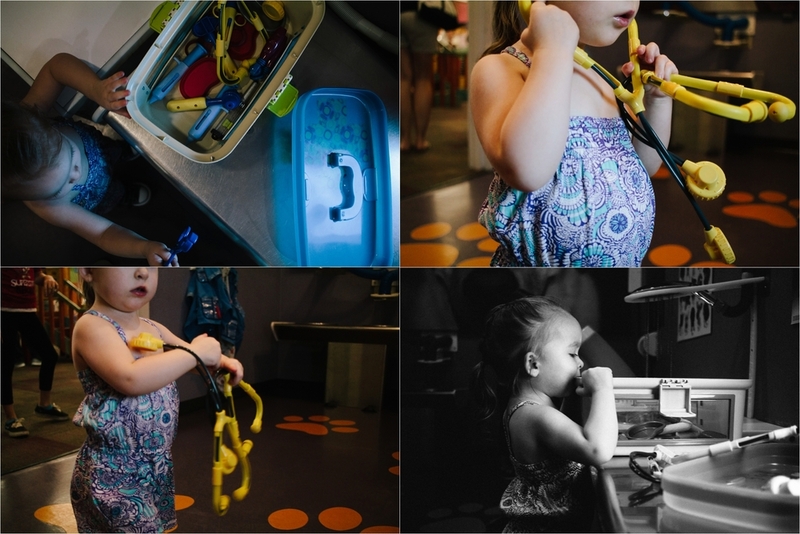 We went to the pool as often as we possible could and also made a trip to the Childrens Museum Tucson. We always have such a blast there... but I will admit this was the very first time I have taken them to the Children's museum together, on my own. It was alright.. It could have been worse. The problem is they both want to do different things and I don't trust Lilian (or other people) to go off on her own yet. The trip ended with a huge tantrum.. and not by Aria, which resulted in us skipping Ice Cream at the HUB and heading straight home. Luke left at the end of the month and we started counting down the days [weeks] until he was home with us again. So here we are.. it's August and soon we will be moving our little family up a little bit north to Denver Colorado. July was a really wonderful month for our family. I spent a lot of time experimenting with my Black and White images... I have recently been drawn to dark and moody images. 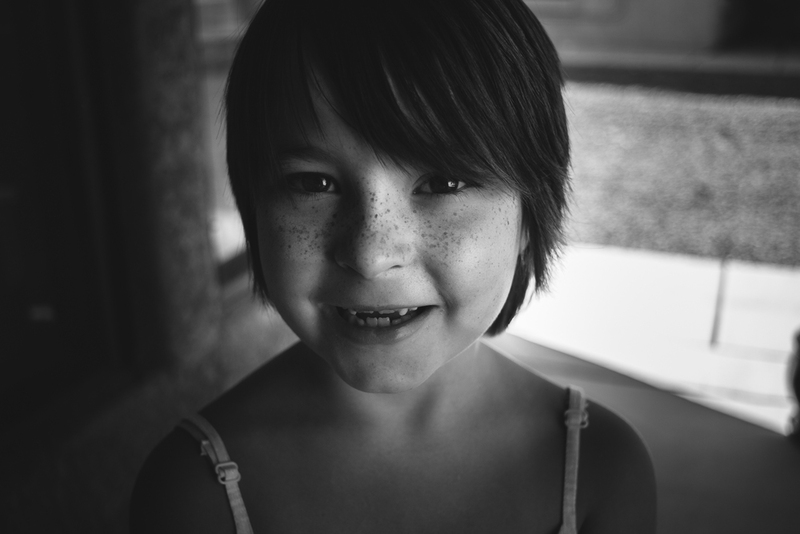 I am really in love with embracing the shadows right now... it also helps that I rarely can get my children to give me their real genuine smile on camera. Tomorrow Lilian starts school as a SECOND GRADER!!! Holy Moly!! Life seems to be going at this extremely rapid pace and keeping up with it can be really draining. I am happy that this summer has been relatively calm- in terms of client sessions. It has given me time to really focus and refine who I am as photographer... for now... because it seems that I am always changing and evolving. I can't stay stagnant with my work for long.. I have to be growing and changing. So here is a little peek of my personal images/personal growth.